IDs for standard round carbon tube sizes are listed below. 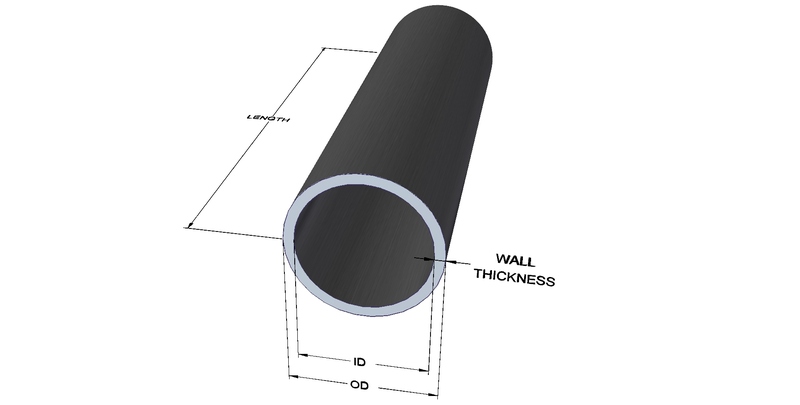 Wall thickness will depend on individual requirements. Sizes not shown can be custom-ordered from C-Tech. Prices are shown in NZ$, exclusive of GST. Prices are appriximate per metre, based on a standard modulus laminate with approximately 30% hoop strength and manufacturing a tube to the full length of the tooling. Shorter lengths are available but may incur a higher per-metre price. As all tubes are made to order the minimum order length is [usually] 1.0m. Some over-run tube, which can be ordered in shorter lengths, is available in specific sizes (quantities available vary constantly). Alternative laminate and fibre orientations can be custom-ordered from C-Tech. Please note that there is a minimum order value of NZ $250 per shipment. Use the tables below to check ID, price and weight for each given wall thickness, then click here to place your order for round carbon fibre tube.